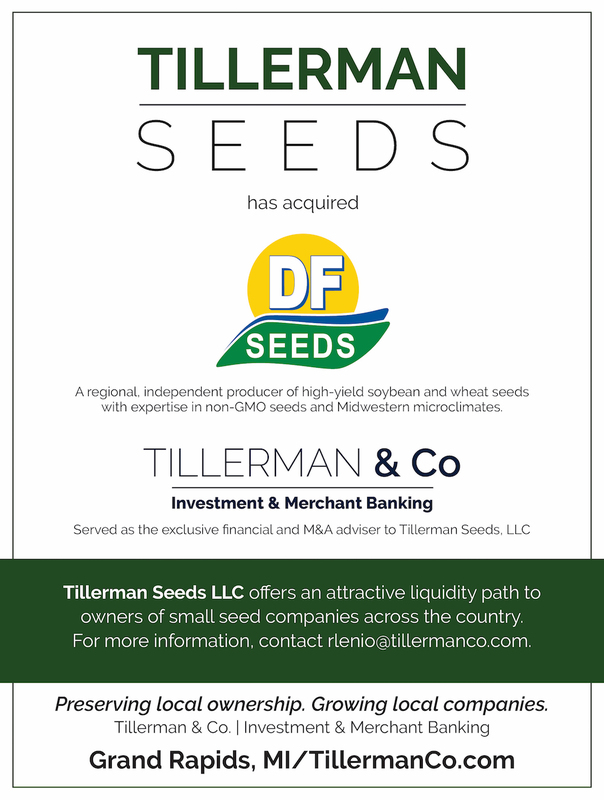 GRAND RAPIDS, Mich. - October 16, 2017 -- Tillerman Seeds LLC, a Grand Rapids-based company created to acquire regional producers of specialty, GMO and non-GMO seeds, has purchased the assets of Dansville, Mich.-based DF Seeds Inc. in its first transaction. DF Seeds, an award-winning supplier of soybean and wheat varieties that are best-suited to grow in Michigan’s unique micro-climate, serves more than 400 farmers with seeds that generate higher yields and increased resistance to disease and pests. 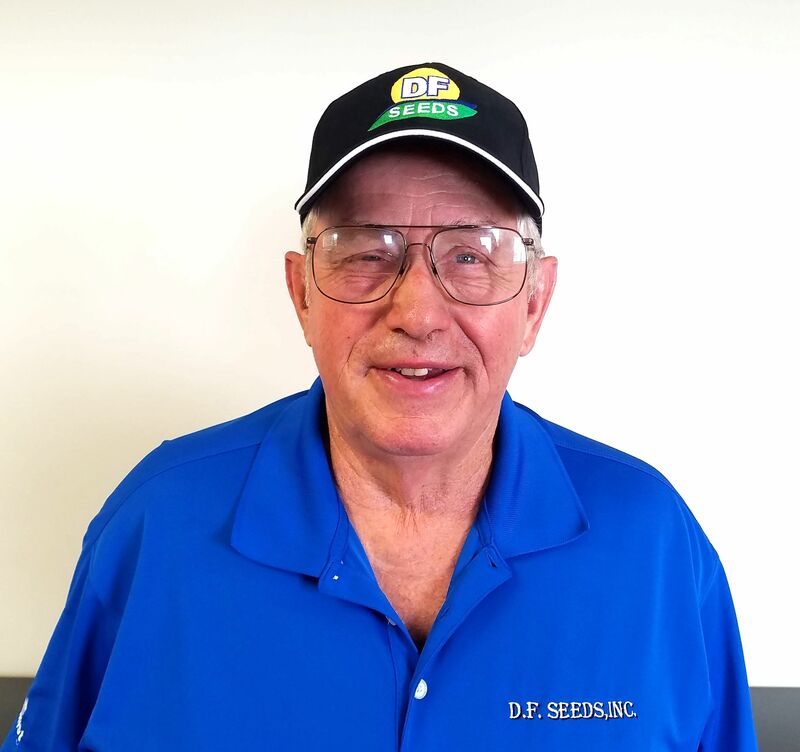 Founded in 1992, the company will continue to operate under the DF Seeds brand with the same local team, including President Chris Varner, a 25-year veteran of the seed industry. “We are pleased to welcome Chris and her staff to the Tillerman Seeds team, which has been working diligently to identify acquisitions in the seed market,” said James Sheppard, chief executive officer of Tillerman Seeds. Tillerman Seeds intends to purchase small seed companies with an established regional presence or specialty products that have growth potential. The holding company plans to operate acquired companies as standalone entities with shared back-office services including accounting, human resources and purchasing. DF Seeds and other acquired companies will also collaborate on research and development, as well as best business practices for customer service, marketing and cross-selling of product lines. Tillerman Seeds will be lead by agribusiness experts with established industry credentials including Sheppard, who has four decades of experience in agricultural sales, marketing and operations management. Sheppard has held executive leadership positions with Harvey Milling Co., Harvey’s Agricultural Solutions and United Agri Products. He holds a bachelor’s degree in crop and soil science from Michigan State University and serves on the board of the Michigan AgriBusiness Association. Varner will continue to serve in a leadership position with DF Seeds, where she has worked since 2009 and been an owner since 2013. Varner has worked in the seed industry for more than 25 years, serving in management and operations positions at two Michigan-based seed farms and at Michigan State University. She holds a bachelor’s degree from Michigan State University and a master’s degree in seed business and technology from Iowa State University. She is the current president of the Independent Seed Producers Association for the year 2017. Tillerman & Co., which provided structuring, negotiation and capital formation on the transaction, will provide financial management for the new company and its subsidiaries until a permanent chief financial officer is hired. 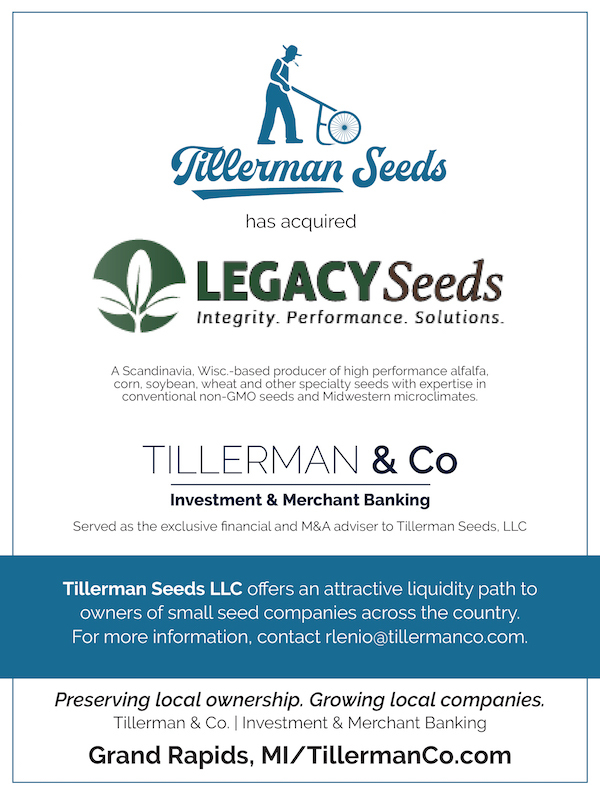 The Grand Rapids, Mich.-based investment and merchant banking firm has also been engaged to source additional acquisitions of small, independent seed producers to help drive further growth for Tillerman Seeds. While the $54 billion global seed market is dominated by a handful of large multinational corporations, there are considerable opportunities for small, independent seed producers to supply domestic and foreign farmers, according to Shepherd. “The multinationals focus on developing seeds that can be sold nationally and internationally, which leaves plenty of room for small, local firms that focus on developing seeds for specific microclimates and specific grower needs, including non-GMO seeds,” he said. Wells Fargo provided senior debt financing and a revolving credit facility to Tillerman Seeds. The Grand Rapids office of Barnes & Thornburg provided legal counsel to Tillerman Seeds on the transaction. The Grand Rapids office of Dickinson Wright PLLC represented the sellers.